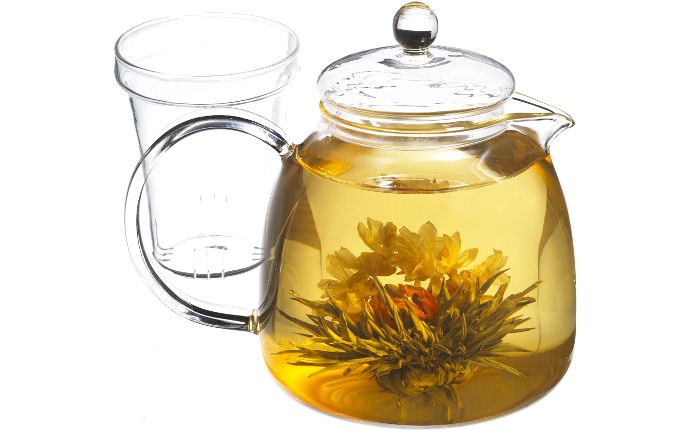 The Munich is a flat bottomed heat resistant glass teapot best used for your high quality blooming teas thanks to its ample shape. This kettle is visually appealing for the blooming teas due to its see through glass with clear lines of design. It holds 42 fluid ounces with ease.